THE CARIBBEAN ROOM This sunny second floor corner room over looks the pool garden at the rear of the house. 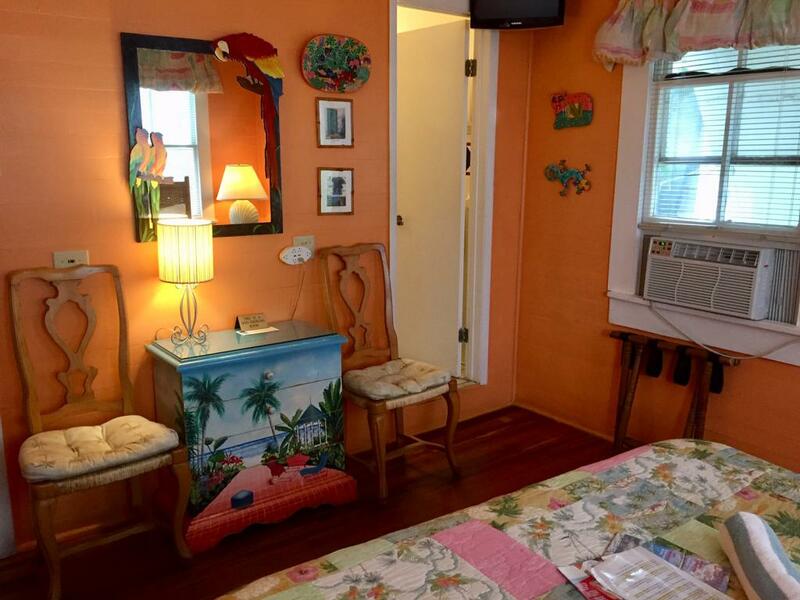 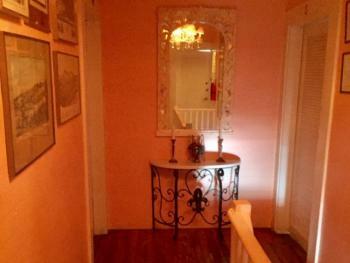 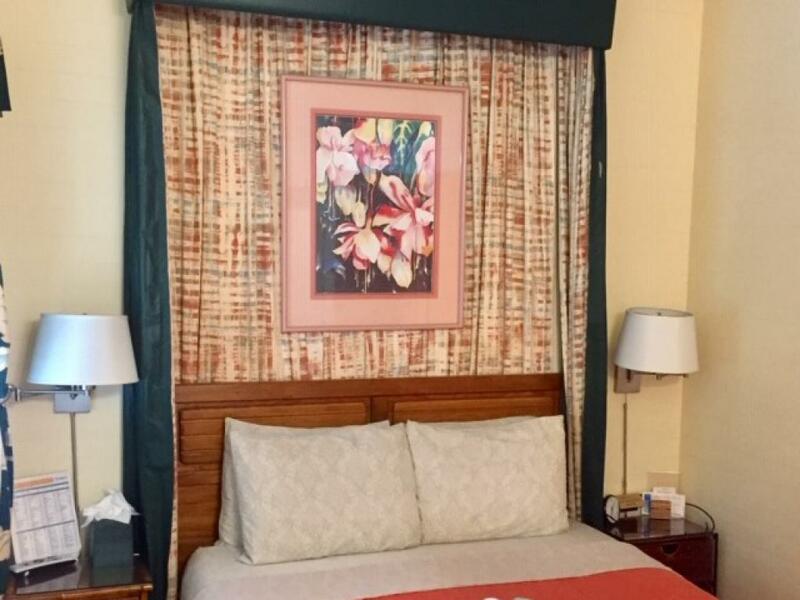 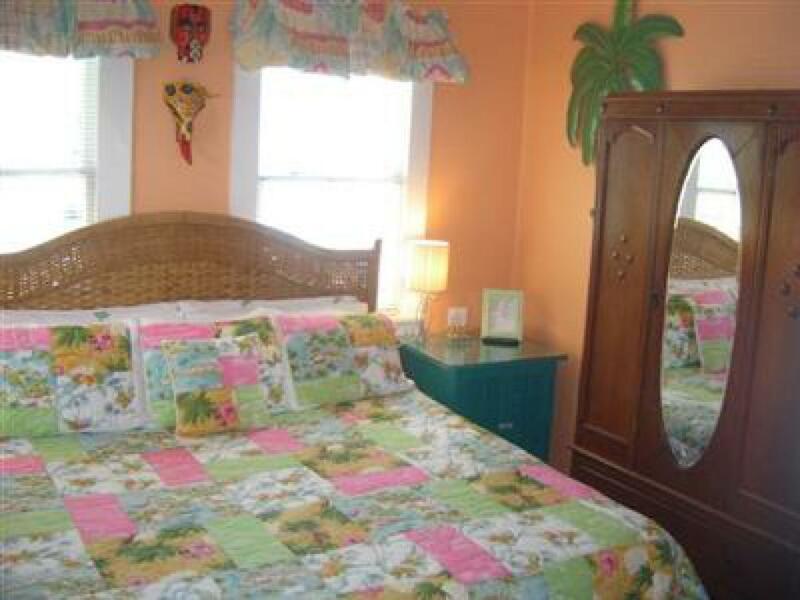 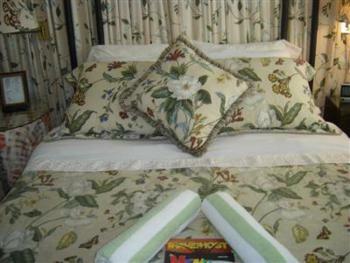 It has whimsical tropical decorations and a comfy king-size bed with a solid foam mattress. 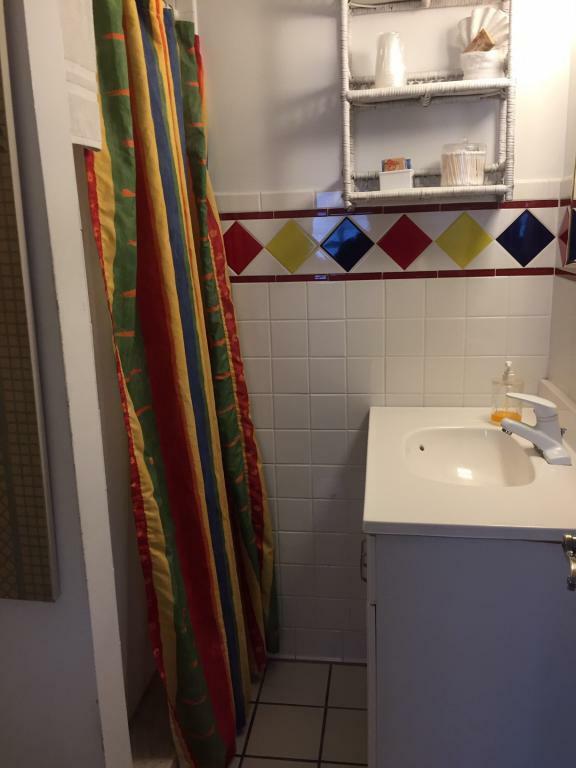 There is a brightly tiled bath with a shower. 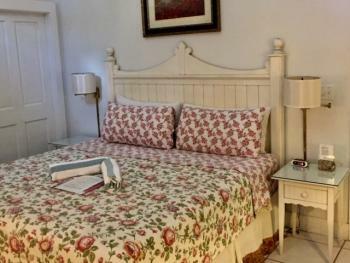 THE COUNTRY COTTAGE ROOM This spacious, poolside room with its comfy king-size bed is really special. 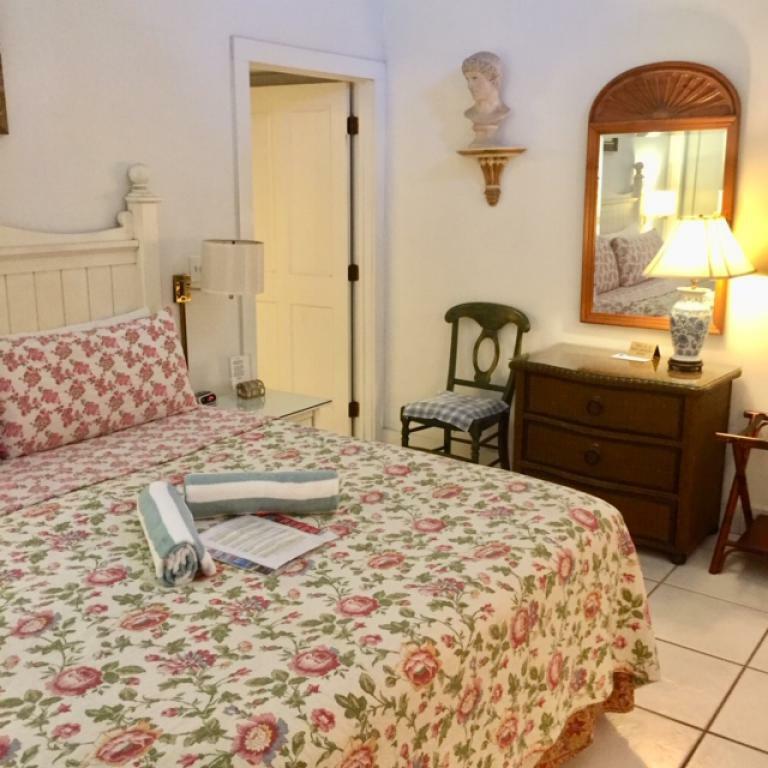 With its two-story vaulted ceiling, sparkling white tile floors, private porch and designer furnishings, this is one of our most sought-after rooms. 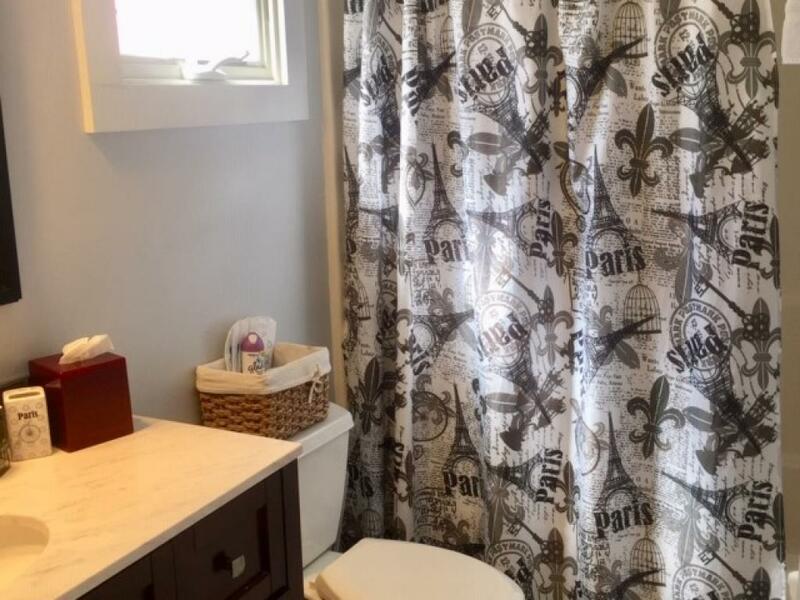 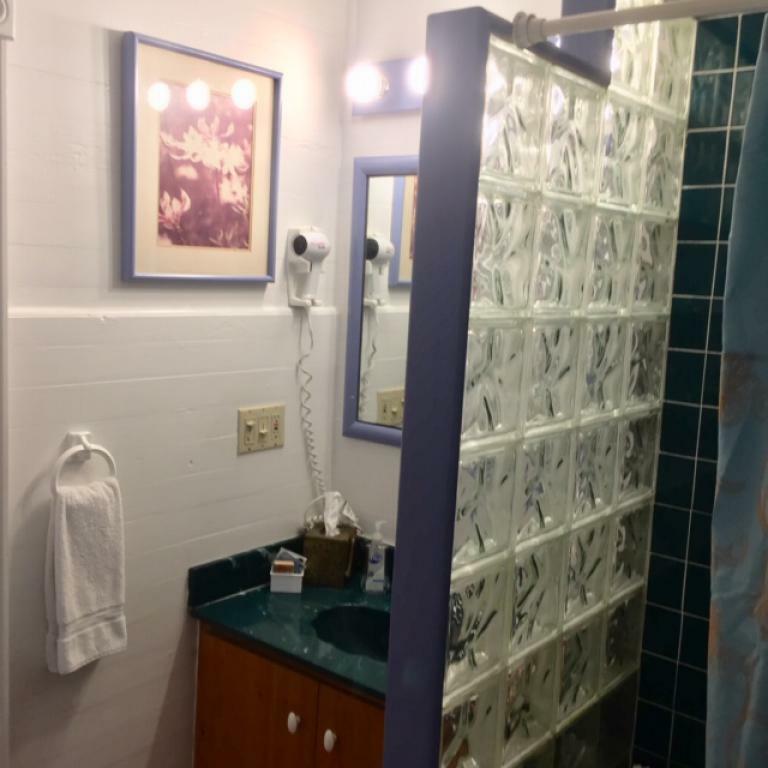 The tile bath has a shower. 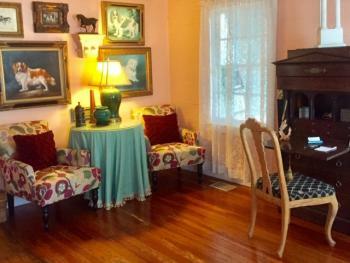 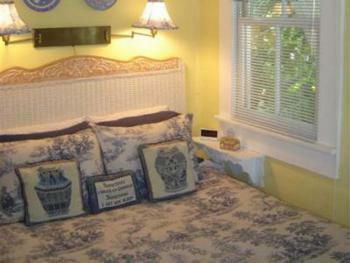 THE COUNTRY FRENCH ROOM This bright, cheerful cozy room with one queen-size bed is one of our prettiest. 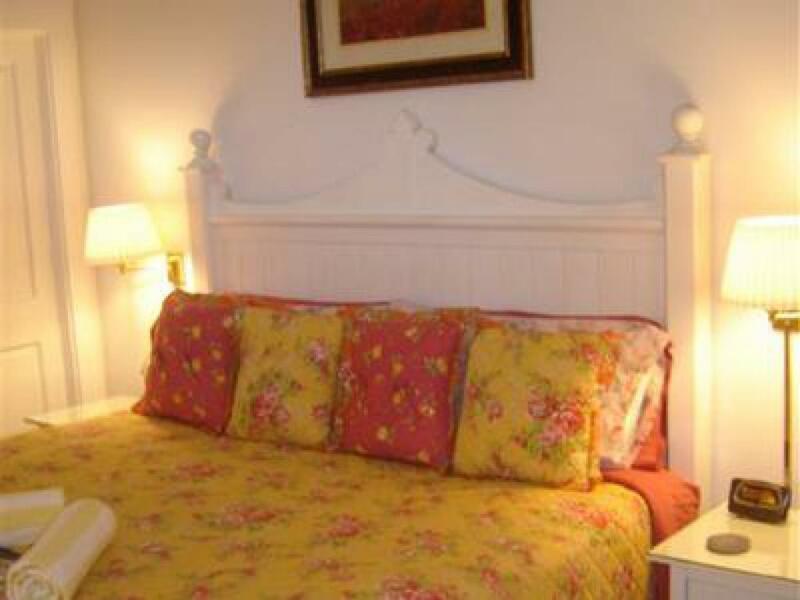 With its charming French provincial decor and lemon yellow walls this room exudes the casual charm of the south of France. 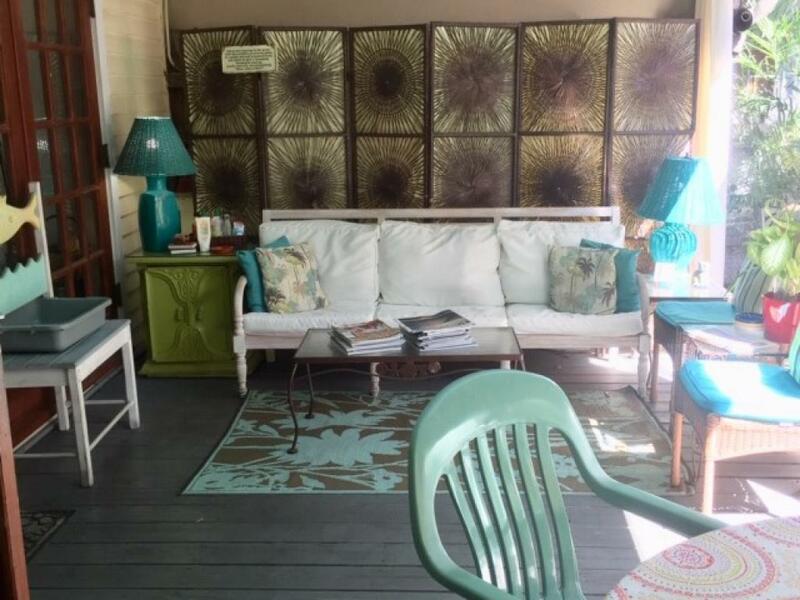 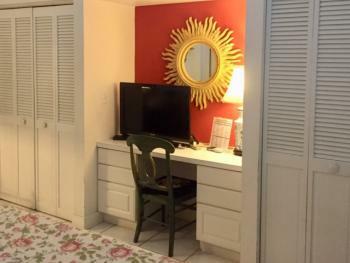 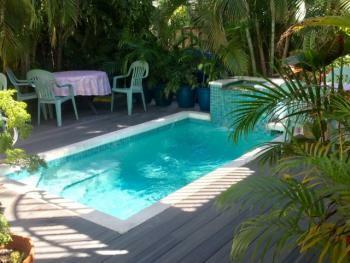 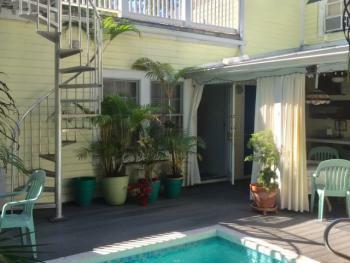 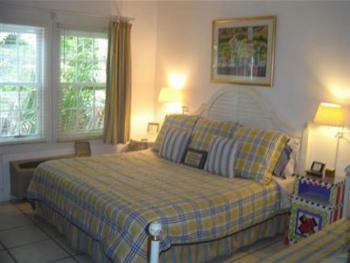 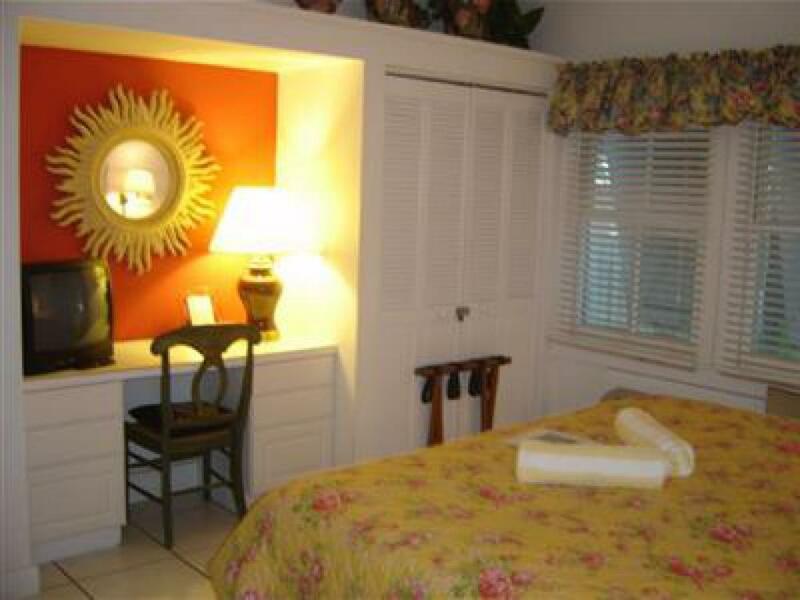 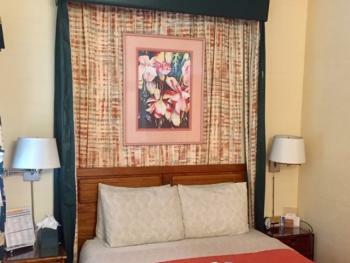 A perfect room to wake up in to start another fun-filled day in sunny Key West. 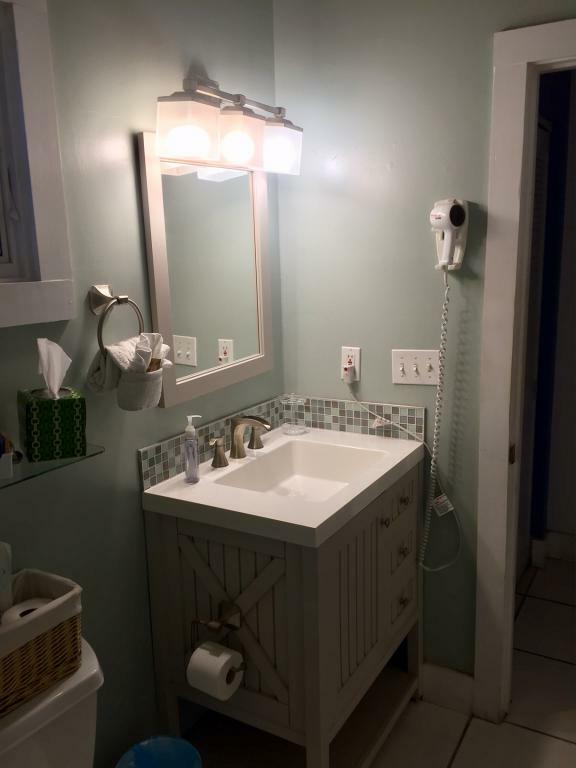 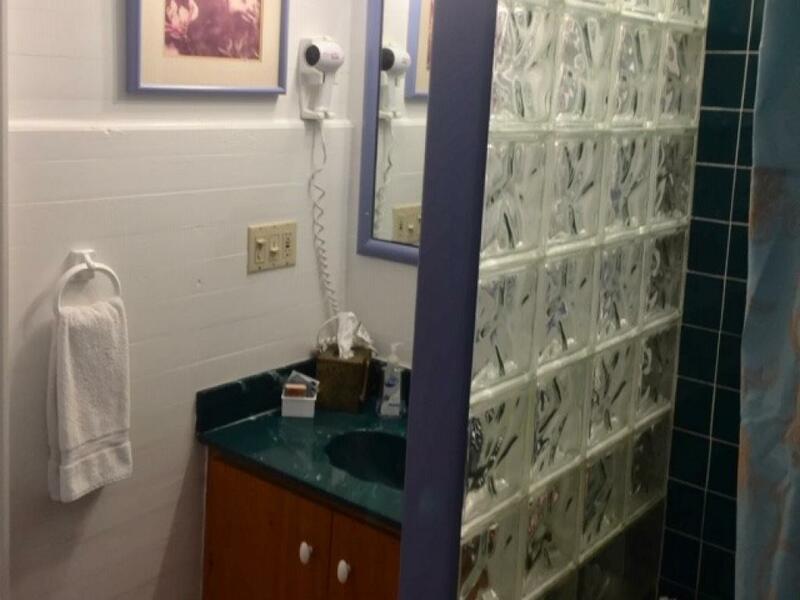 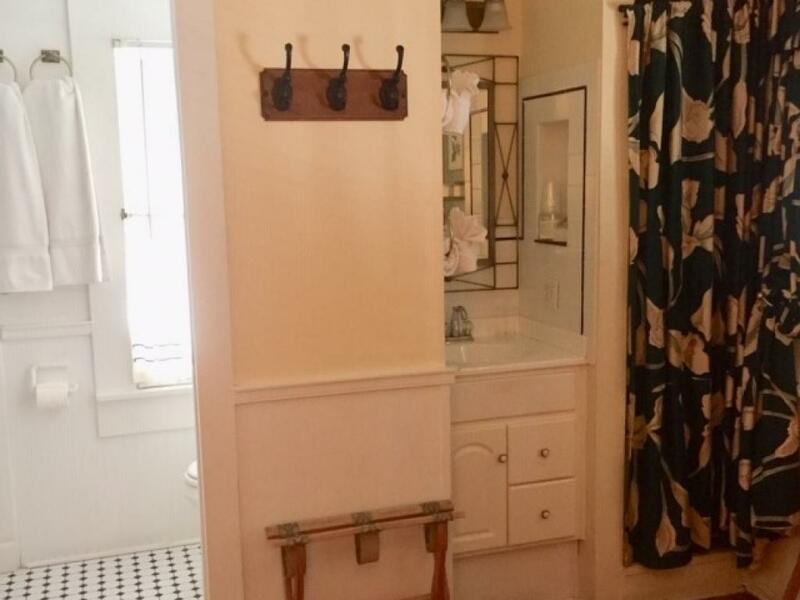 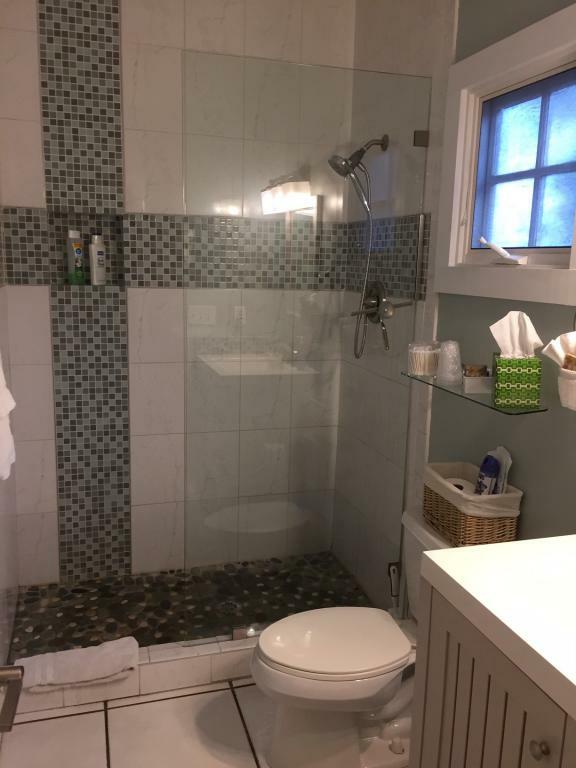 The tiled bath has a tub and shower. 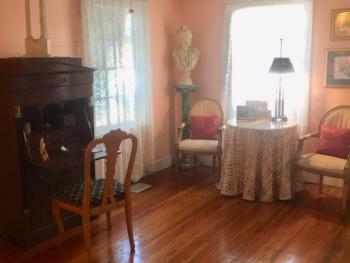 This room is located on the second floor with a street view. 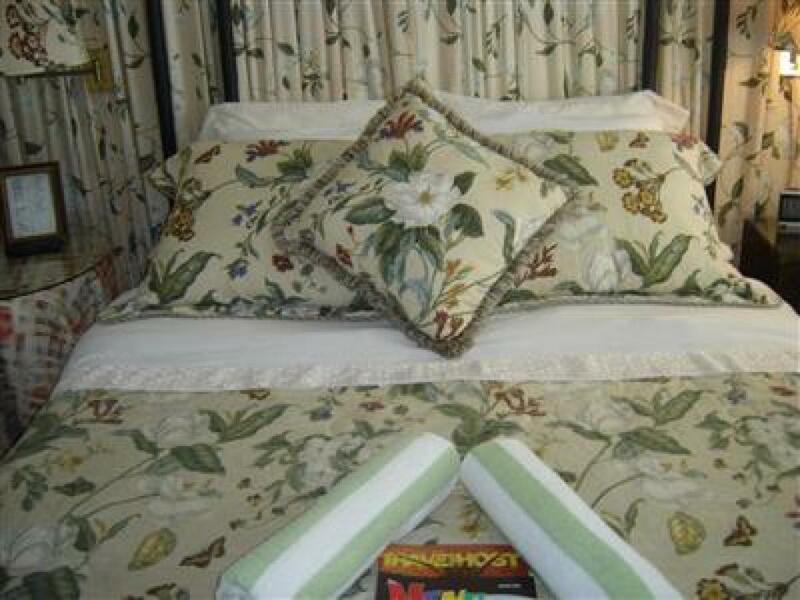 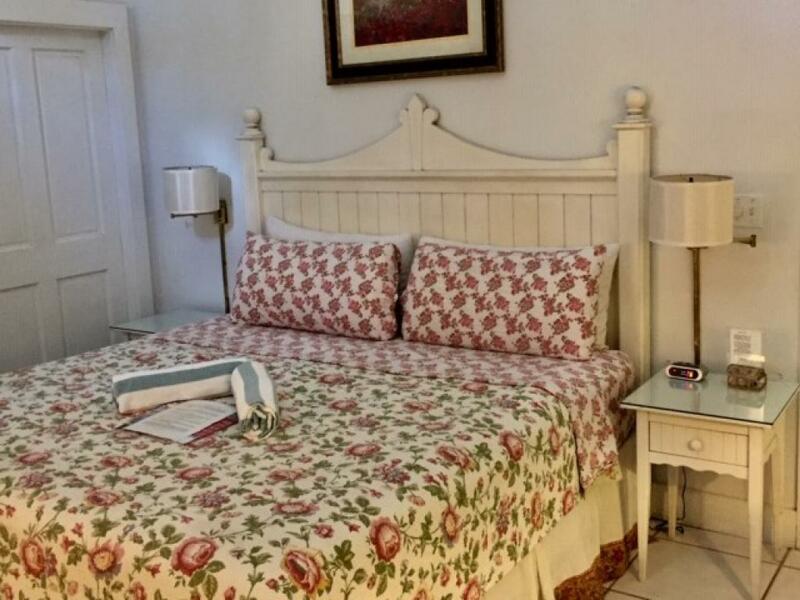 THE ENGLISH COLONIAL ROOM This charming cozy room with its queen-size bed with canopy headboard, botanical prints, luxurious window treatments and English Colonial decor has a compact tiled bath with shower. Located on the second floor with a street view. 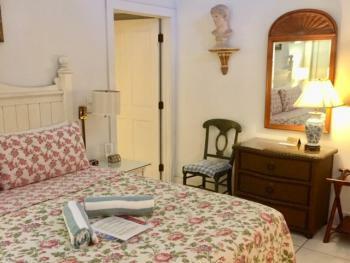 THE ITALIAN ROOM This intimate room with its queen-size bed with tempurpedic mattress, painted Italian bombe chest and lavish use of fabric on the walls and the windows is very popular for romantic get-always. 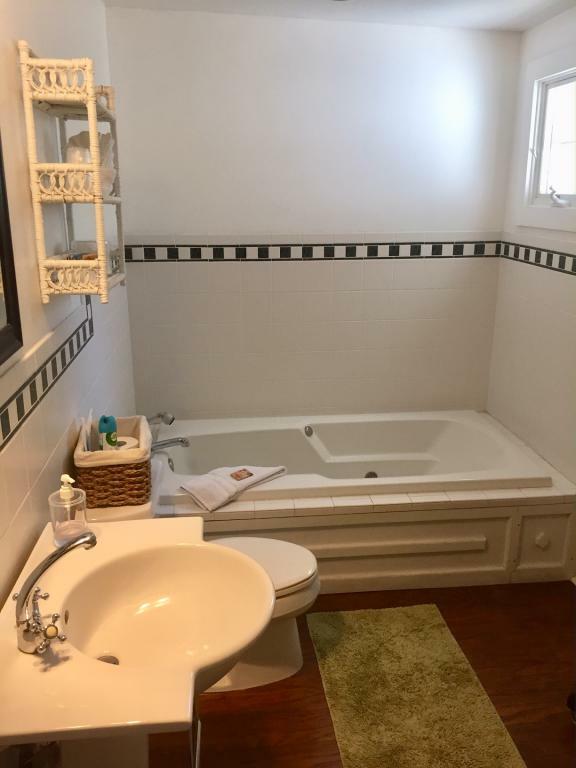 Everyone really loves the large bath with Jacuzzi tub. 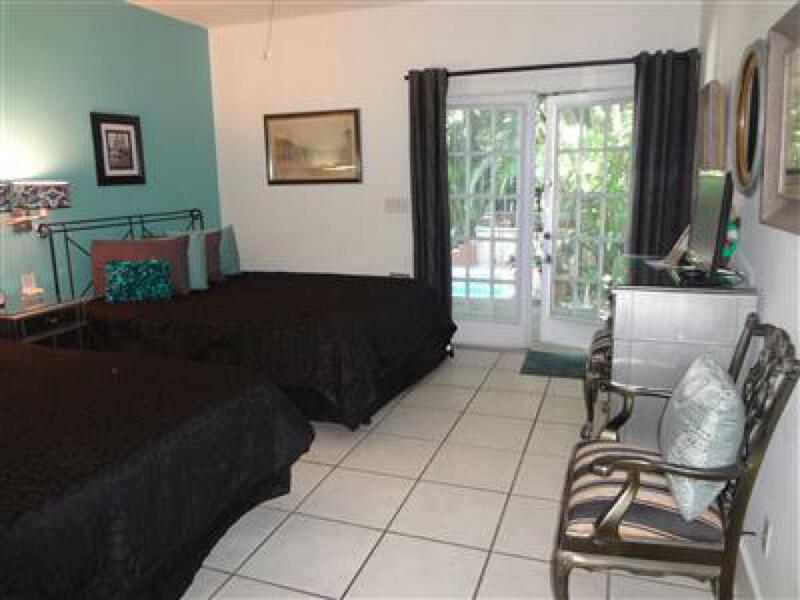 Located on the second floor with windows overlooking the pool & garden. THE TROPICAL ROOM This cozy first floor room with its cheerful tropical decor is the oldest room in the house. The original master bedroom of the Knowles family for over 100 years, it includes such traditional antique features as the polished wood floors and wood ceilings and walls, one of which has been stripped to bare wood to show off the patina of the 150 year old pine. 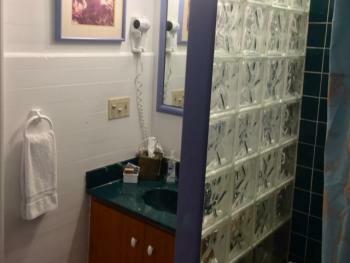 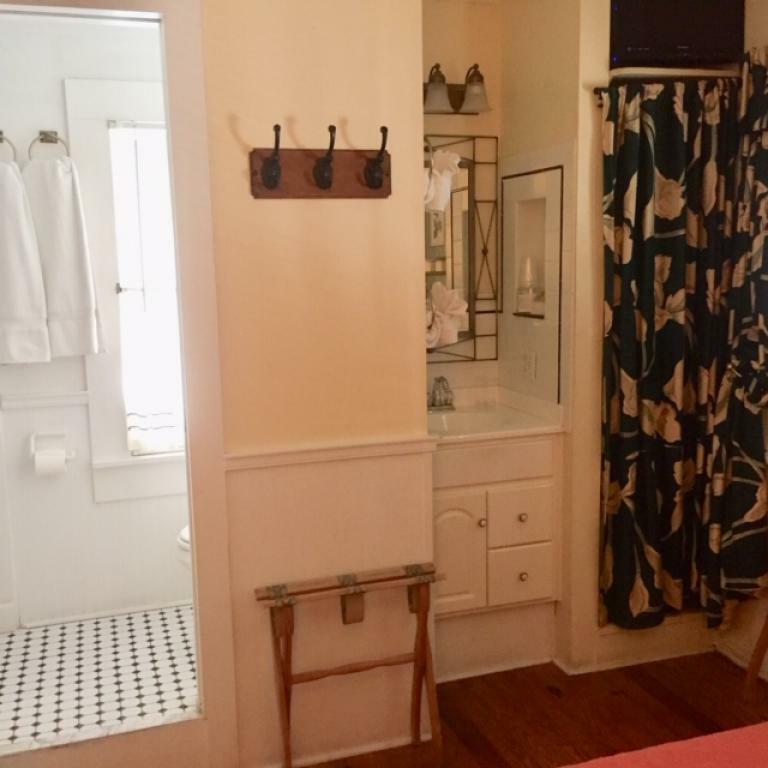 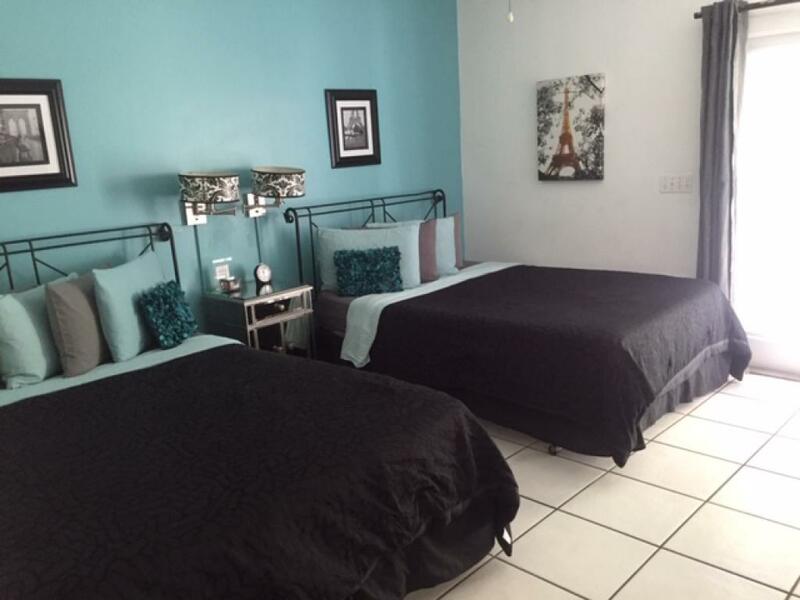 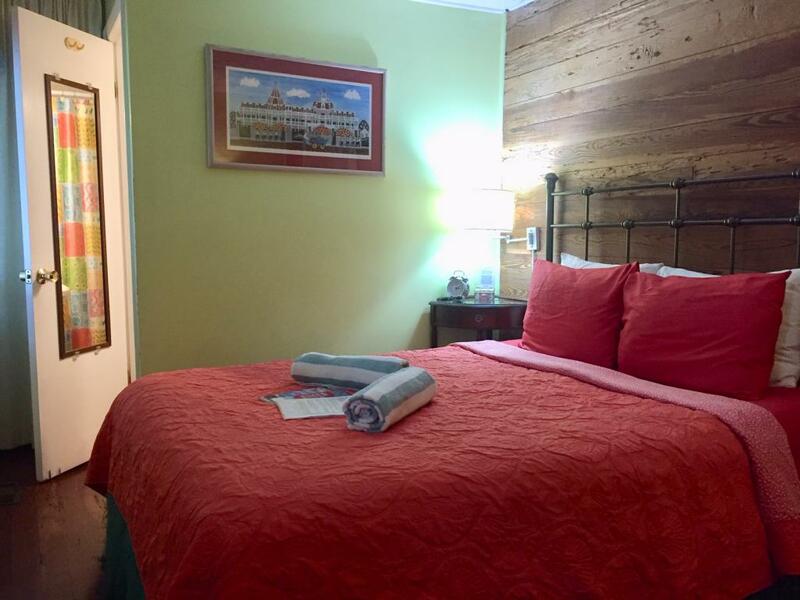 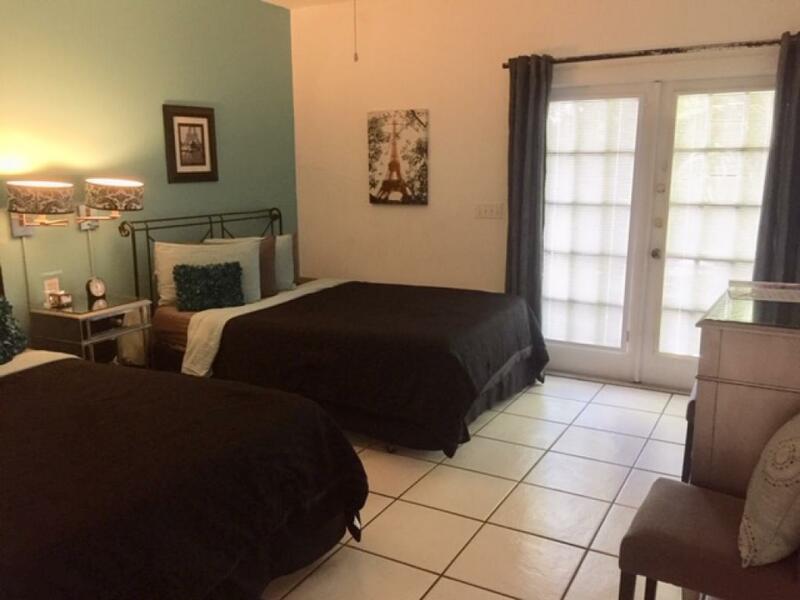 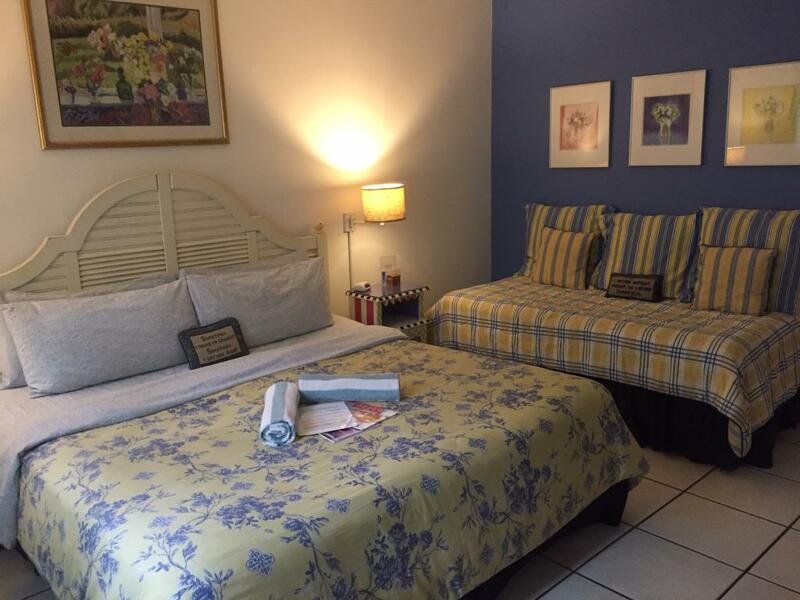 The room has one queen-size bed and a compact bath with a tub/shower combination. THE PARIS ROOM This sleek, sophisticated poolside room with its 2 queen-size beds with Swedish TempurPedic memory foam mattresses and private bath with tub & shower epitomizes the glamour of Paris with its mirrored furniture and chic contemporary decor. 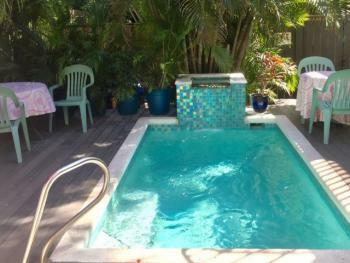 It can comfortably accommodate up to 4 people. 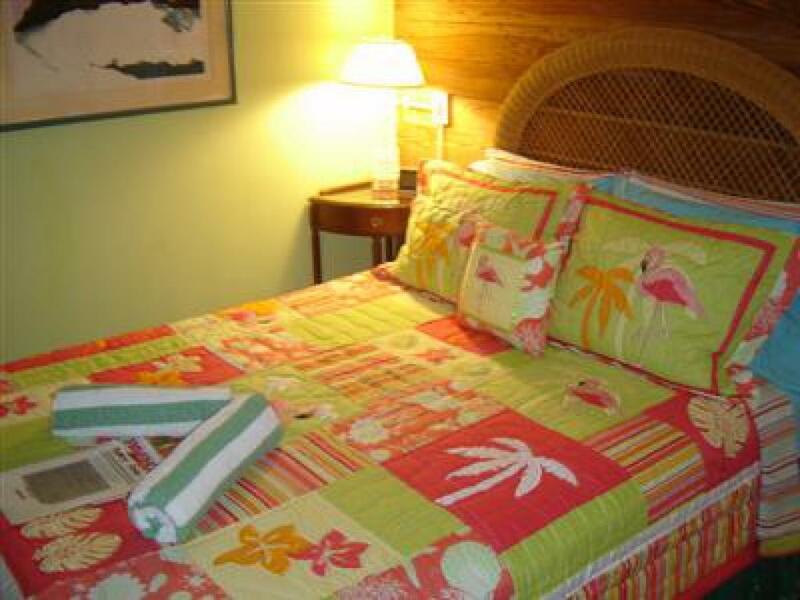 THE MALIBU ROOM This deluxe poolside room with two beds - one a king & one a twin - and private bath with shower is spacious and luxurious. 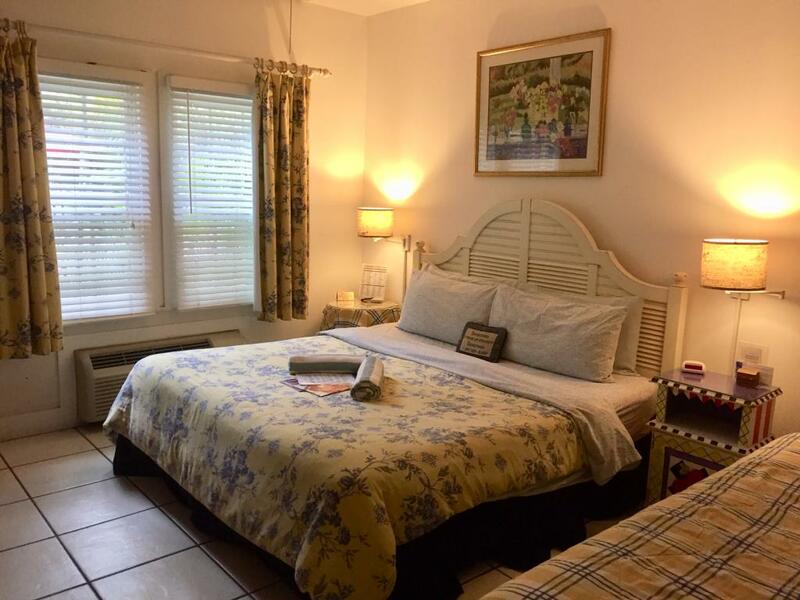 With its white tile floors, high ceilings and mix of country French and colorful contemporary designer furnishings and blue & yellow fabrics this room exudes the casual eclectic elegance of the southern California coast. 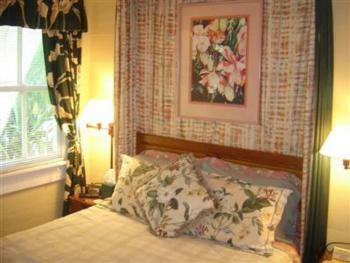 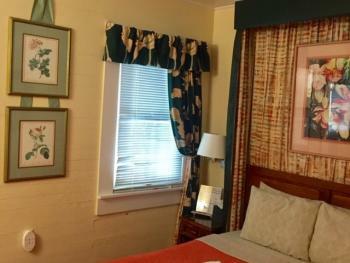 The room can comfortably accommodate up to three people. 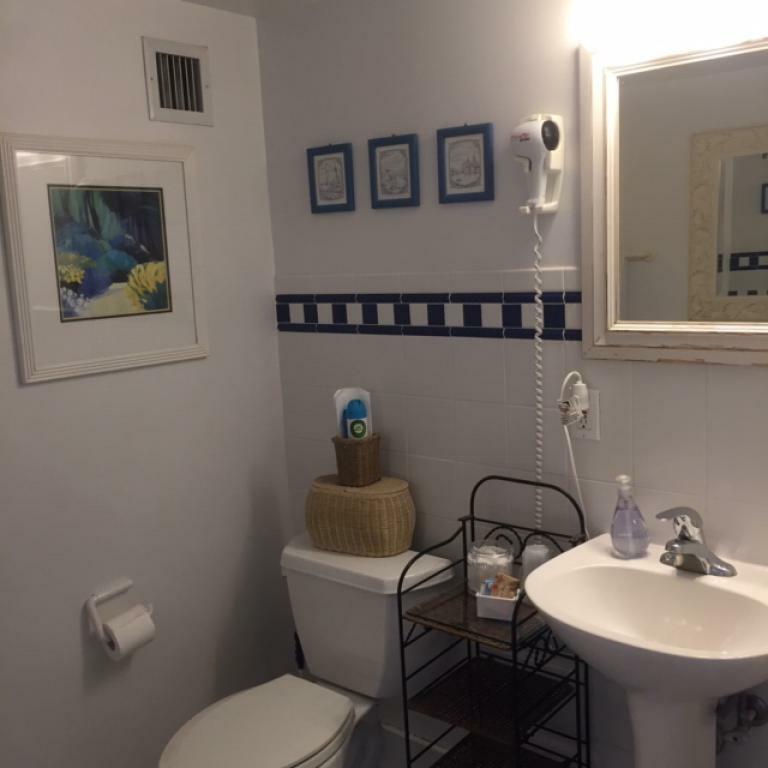 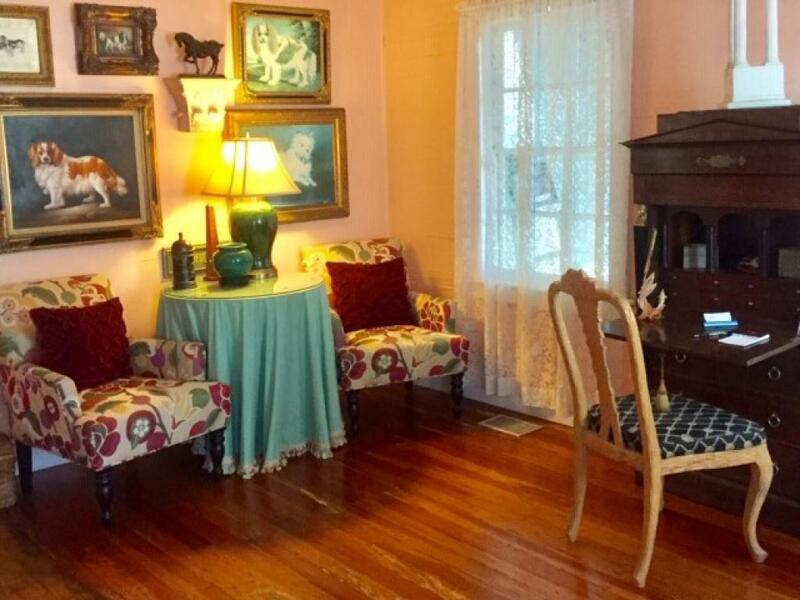 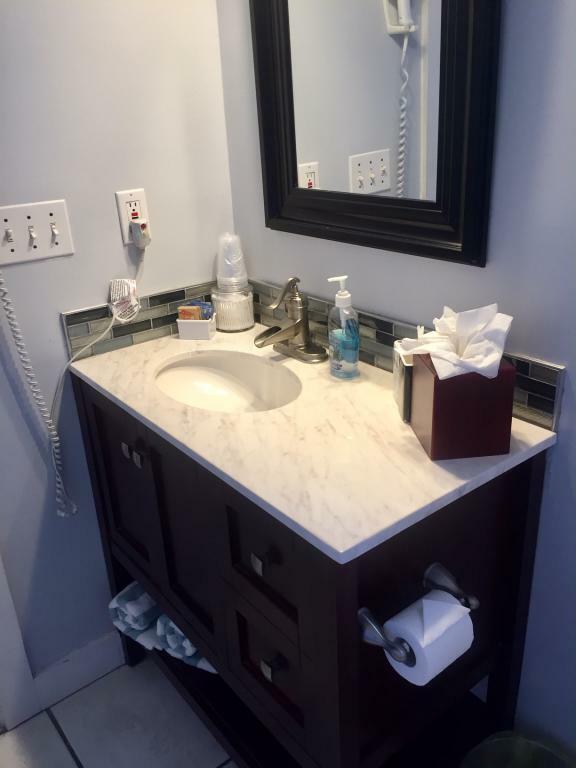 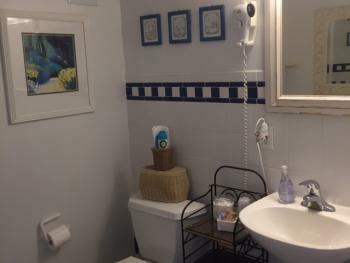 Knowles House B&B is a traditional inn centrally located within easy walking distance of all major attractions, two blocks from the ferry terminal and only a block away from the free shuttle bus, the Duval Loop, that provides frequent access to all points of interest. 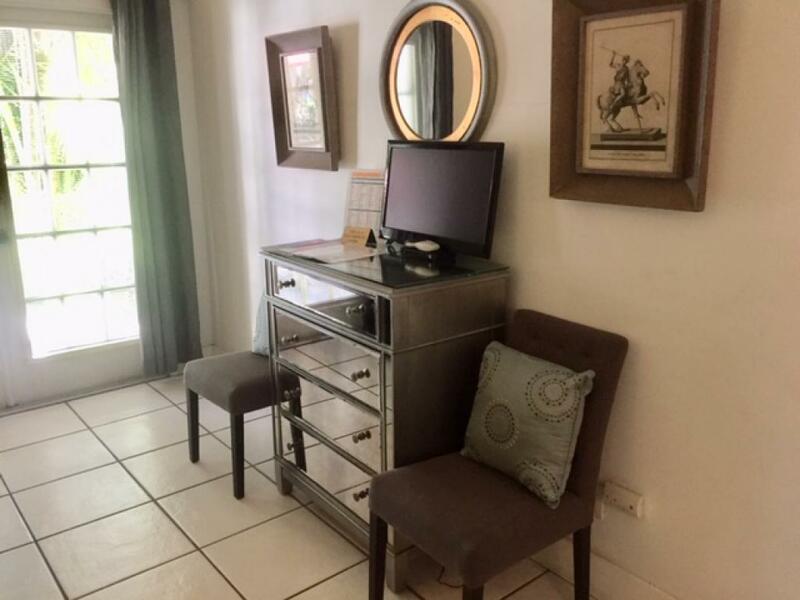 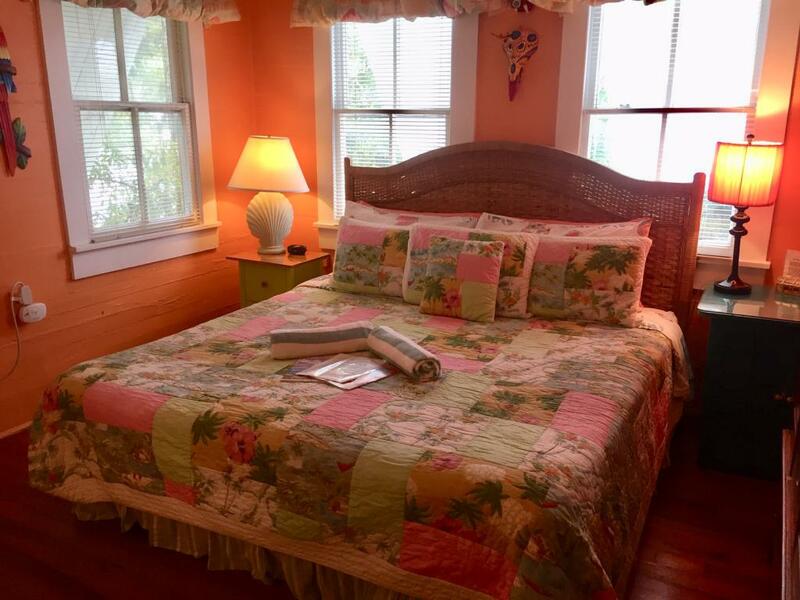 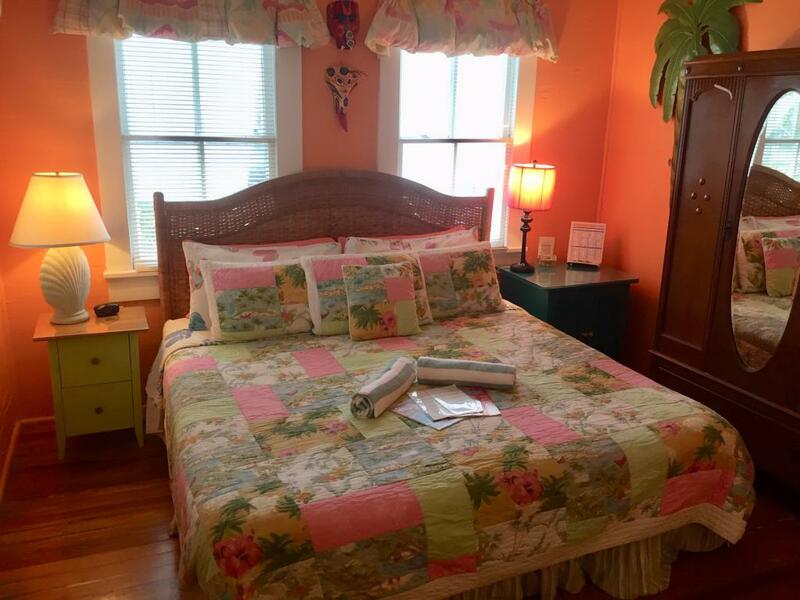 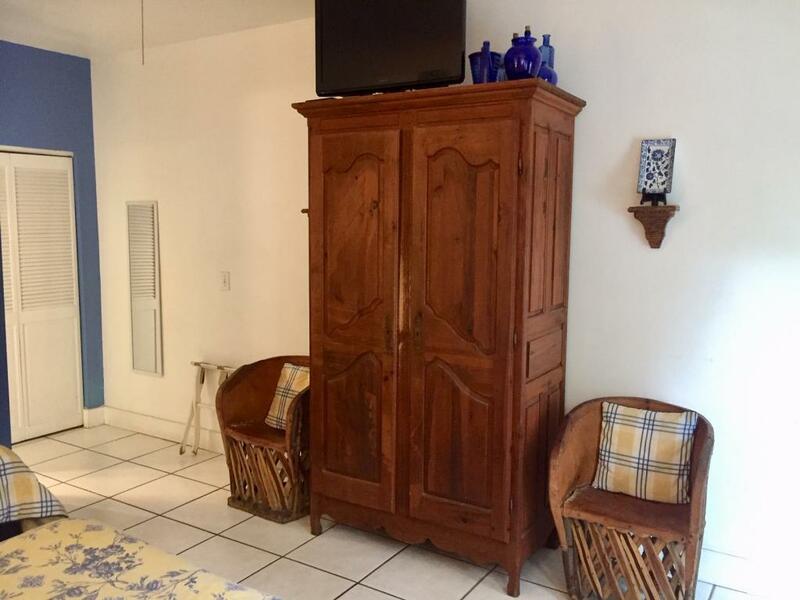 The ancestral home of the local Knowles family, Knowles House is an 1860s "conch house" that has been tastefully updated to offer a variety of comfortable, stylish rooms complete with ensuite baths, free wi-fi and mini-refrigerators while retaining its historic charm. 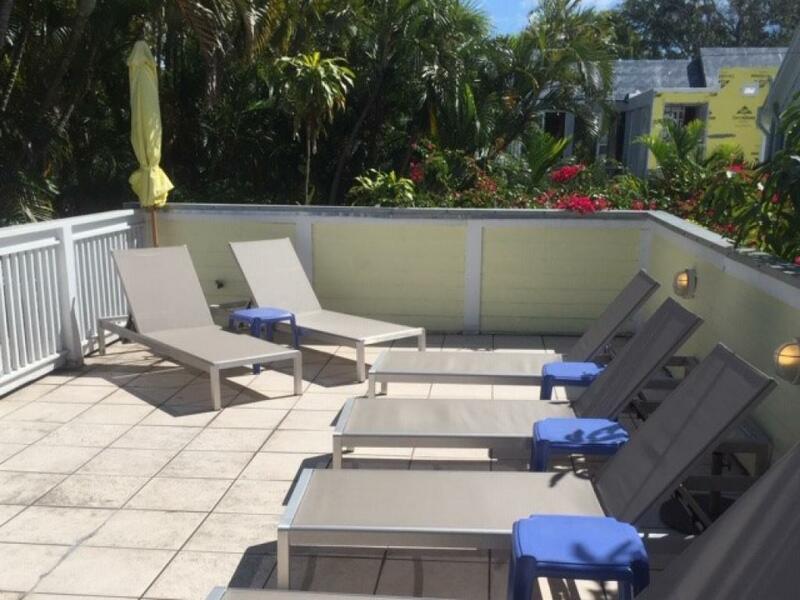 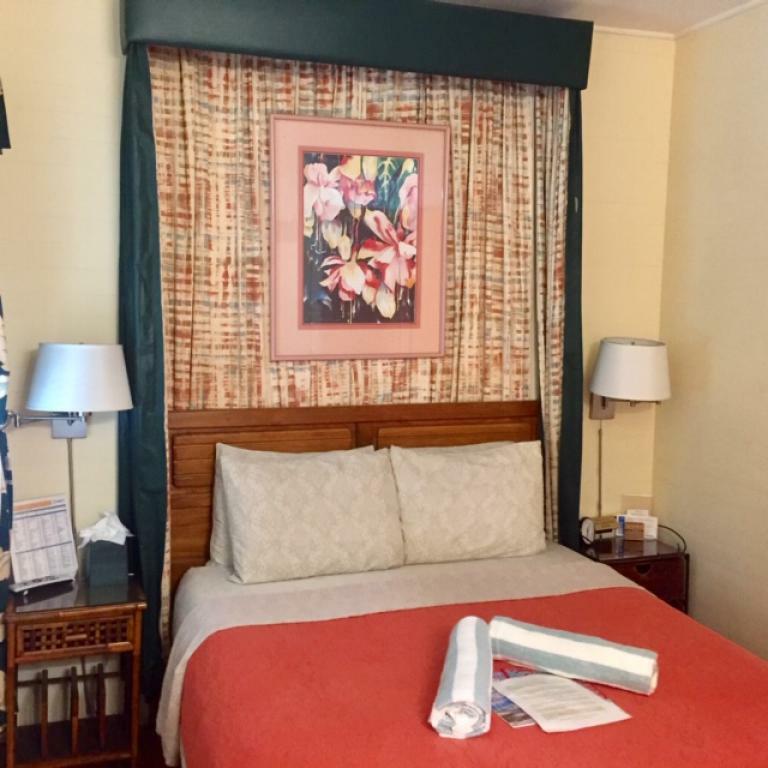 After enjoying our ample breakfast buffet, you can relax in our heated spa pool, shower in our private outdoor tropical shower or catch some rays on our rooftop sundeck before venturing out to explore Key West's famous historic attractions, museums, shopping, dining and nightlife. Access to the marine sanctuary with its watersports, snorkelling, fishing and sailing is only 2 blocks away at the Historic Seaport, which has a harbor walk lined with excellent seafood restaurants. The Fort Meyers ferry terminal, which is also the departure point for the boats to Fort Jefferson National Park, is only two short blocks from Knowles House. Our friendly staff is always available to make any reservations you require, provide all the information you need to enjoy our island paradise and generally just to make you feel at home. 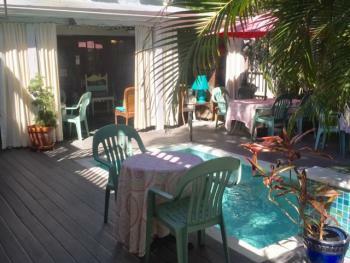 Our complimentary beer and wine afternoon Happy Hour is an excellent opportunity to socialize with your fellow guests.